SlickEQ is good enough to be used as hi-fi equalizer. On Windows you can use <George Yohng’s VST Wrapper for Foobar2000 player> to listen to your favorite music through it! Don’t over-EQ the music. Keep gain values below 3 dB. 1.2. Save your CPU cycles when mixing! SlickEQ is a bit CPU heavy. We performed optimizations for Sandy Bridge architecture but for modern energy saver simplified CPUs in thin notebooks or for old CPUs the CPU load may be too high. 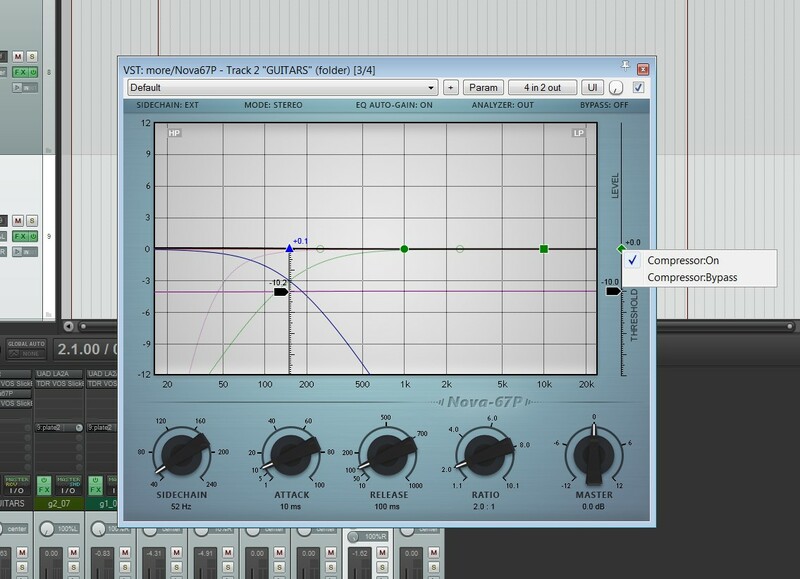 Turn EQ Sat off and set Out Stage to Linear. If non-linear processing is not used, SlickEQ may consume 3 times less CPU cycles! If you already have some saturation on a track you may choose to turn off the saturation in SlickEQ. Turn stereo mode to “Mono” if you’re processing a mono audio signal. In this case SlickEQ will consume 2 times less CPU cycles! NOTE: some DAWs report that they have a mono track and in this case stereo mode button is grayed and SlickEQ operates in mono mode automatically. In first place is Acon Digital with their chorus effect plugin, Multiply, an Audio Unit, VST Plugin and AAX Plugin for 32- and 64-bit Windows and Mac OS X. Being both Mac & Win compatible Acon Digital win 60% of the KVRDC14 prize fund! Of course they also win the fantastic A3E prize giving them the opportunity to present their entry at the A3E show in Boston, September 23-24, 2014! Congratulations to them. 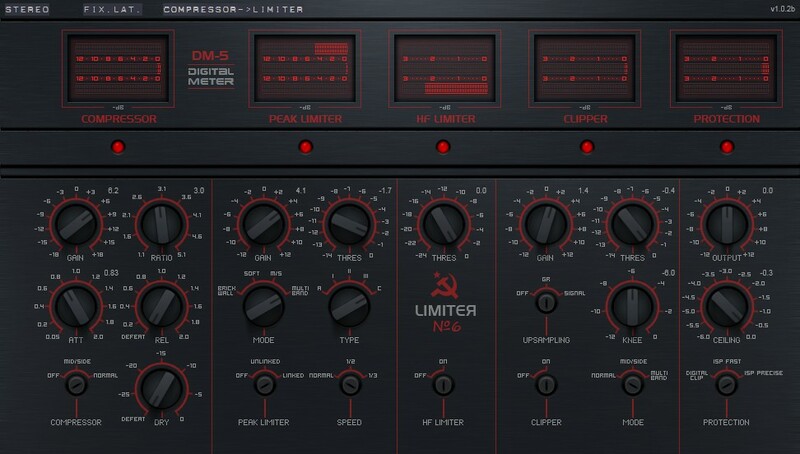 The runner up is Nova-67P by vladg/sound, a parallel parametric equalizer plugin combined with a compressor. It’s also available for 32- and 64-bit Windows and Mac OS X in Audio Units and VST plugin formats. vladg/sound wins 20% of the final prize fund. Rounding out the top three is another effect plugin: Emissary by Ignite Amps, a digital emulation of a custom dual channel guitar tube amplifier. Sadly there is no financial reward for third place this year, but Ignite Amps can revel in the glory of placing in the top 3 and scoring more than twice as many votes as the fourth placed entry. GUYS, I WANT TO THANK YOU FOR ALL YOUR SUPPORT! I’M HAPPY A LOT WITH THE 2ND PLACE! Please give some points to developers, they have earned it! KVR registration is needed but it’s free. Please report me your experience about this fix. Both Mac versions of Nova (VST & AU) hang if 88.2 or 96 kHz sample rate used in the project. I didn’t check 88.2/96 on Mac before… Okay, I’m going to fix it! If you know Russian language better than English one, please check this translation. 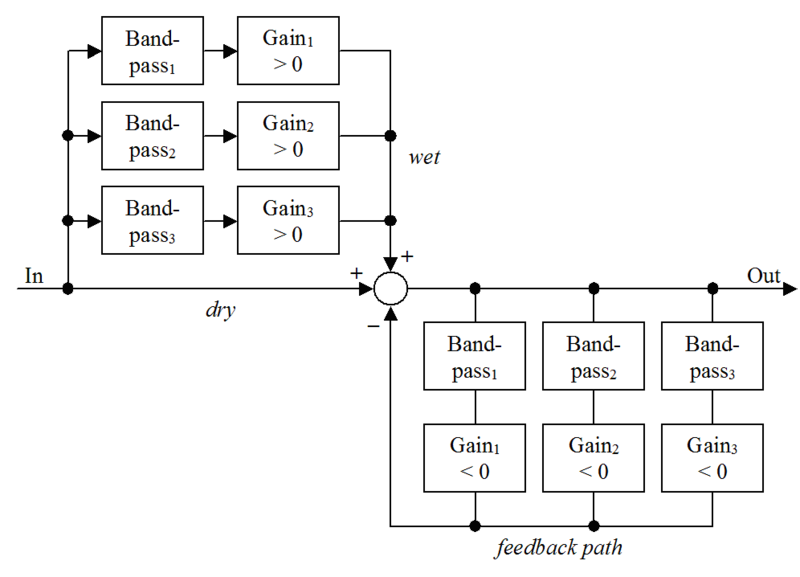 How do parallel equalizers work? 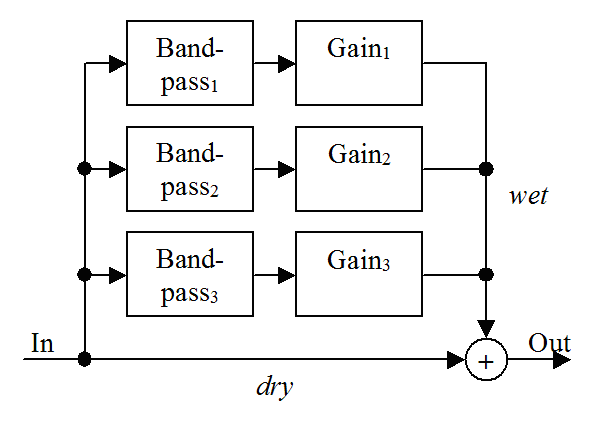 The signal is passed through band-pass filters, gain applied and then the result is summed with the dry signal. What is so special about parallel equalizers in digital world? I like the way how bands interact with each other! Check the picture. There’s a typical serial equalizer on the left (SlickEQ GE). There’re 2 bands, 1 kHz and 2 kHz with +6 dB boost on both. In serial equalizers close bands tend to “stick” to each other and in parallel equalizers this effect is less prominent. The difference may be very subtle but for me a typical parallel equalizer provides greater bands separation especially in a busy midrange, which is very suitable for mixing tasks. Parallel equalizers and cuts. Most parallel equalizers operate in a very special way when combining boosts and cuts. Why? Just an example. If you boost an input signal of 1 Volt by +6 dB you have the resulting signal of 2 Volts. So a parallel equalizer adds 1 Volt to the output. If you cut -6 dB from an input signal you have the resulting signal of 0.5 Volts. Thus a parallel equalizer subtracts 0.5 Volts from the output. Now if boost and cut bands are close together a boost band always tends to win because it affects the output more than a cut band. In our example 1 V + 1 V – 0.5 V = 1.5 V (+3.5 dB of total boost). I don’t like such unpredictable behavior! The solution is to connect boost stage and cut stage in series. Check the picture. For this type of connection +6 dB boost and -6 dB cut compensate each other. Nova-67P is my submission to KVR Developer Challenge DC14! Okay, I didn’t have enough time to prepare truly “commercial looking” plugin but the concept is too cool to drop it away.